According to researchers, eating a diet full of vegetables, grains, legumes, fruits and nuts can be twice as effective in helping you lose weight as conventional low-calorie diets. Many health experts suggest that a vegetarian diet is one of the healthiest ways to lose weight. Don't you always wonder if there was an easier way to lose weight and stay slim? Perhaps, there is, at least, if this new study, published in the Journal of the American College of Nutrition, is to be believed. All you need to do is switch to a vegetarian diet. According to researchers, eating a diet full of vegetables, grains, legumes, fruits and nuts can be twice as effective in helping you lose weight as conventional low-calorie diets. Many health experts and nutritionists often suggest that a vegetarian diet is one of the healthiest ways to lose weight. You don't have to go cold turkey but a gradual increase in the daily intake of fruits and vegetables can offer many benefits. A vegetarian diet means higher consumption of fiber, essential nutrients like vitamin A, vitamin c, and magnesium, unsaturated fats, and numerous phytochemicals. This leads to lower cholesterol levels, stable blood pressure, reduced risk of heart disease and better weight management. On the other hand, nuts may be full of fats but they contain the essential fatty acids and unsaturated fats that can actually help you lose weight. Walnuts, almonds, pistachios and peanuts are great healthy snacks to curb cravings. For the study, the team randomly assigned 74 people to follow either a vegetarian or a conventional diet. In both cases, the participants could only consume 500 kilocalories per day. The results showed that both the diets caused a similar reduction in subcutaneous fat which refers to the fat under the skin. But interestingly, it was noted that the sub-fascial fat which is the fat on the surface of muscles was only reduced in response to a vegetarian diet and so did the intramuscular fat which is the fat found inside the muscles. These results can also be significant for people with type 2 diabetes as increased sub-fascial fat has been linked to insulin resistance and also because reducing intramuscular fat can help improve muscular strength and mobility, particularly in older people with diabetes. 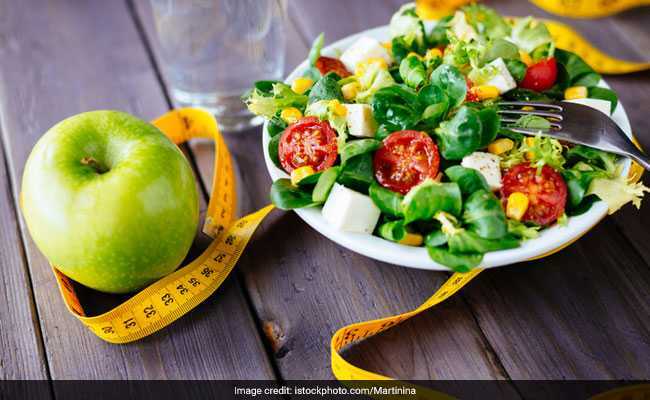 On an average, participants who followed a vegetarian diet lost 6.2 kilos as compared to those who followed the conventional diet and lost 3.2 kilos. The researchers concluded that a vegetarian diet can help in losing muscle fat which improves glucose and lipid metabolism and that is a better way to lose weight than going on a crash diet.